GeneHunter works in two ways. It's callable from Microsoft Excel spreadsheets, and accessible via function calls in a Dynamic Link Library (DLL). 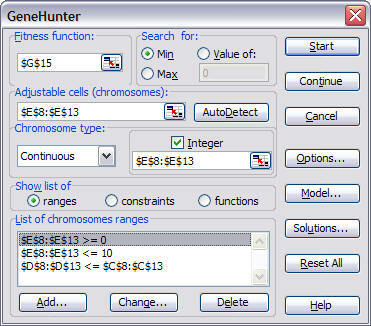 The function calls -- unique to GeneHunter -- are similar to the neural network function calls in NeuroWindows, Ward System Group's neural net DLL for Windows.